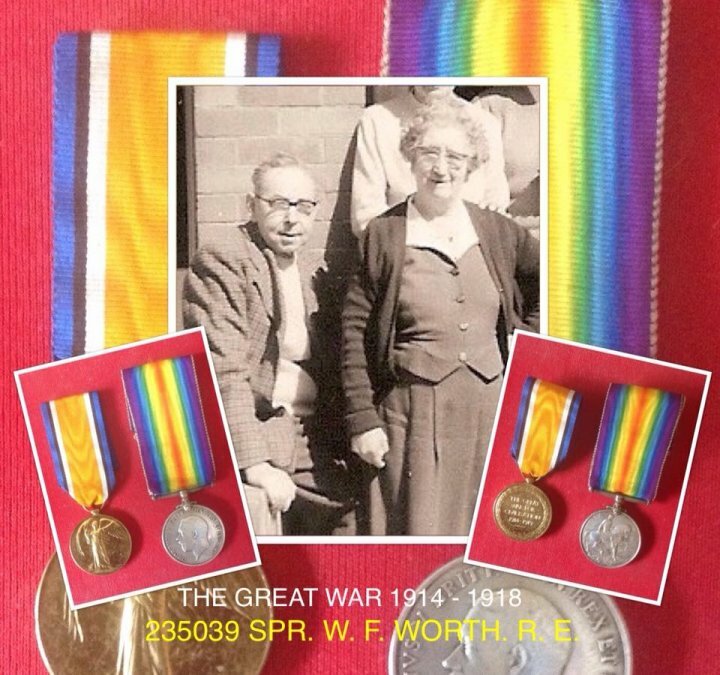 Next year, 2018, marks the centenary of the end of World War I. Peter Bray posted this collage based on the two medals awarded to his Grandad, Walter Worth. They were passed to Peter by his Gran, Walter's wife, Bessie, shortly after he died. The photograph shows Walter and Bessie outside of their house in Carlyle Avenue, Yeo Vale, Barnstaple where they lived, back then, next door to Peter's Mum and Dad, Ronald and Vera Bray, and a lot younger Peter. We all owe a tremendous debt of gratitude to those, like Walter, who fought in the Great War.